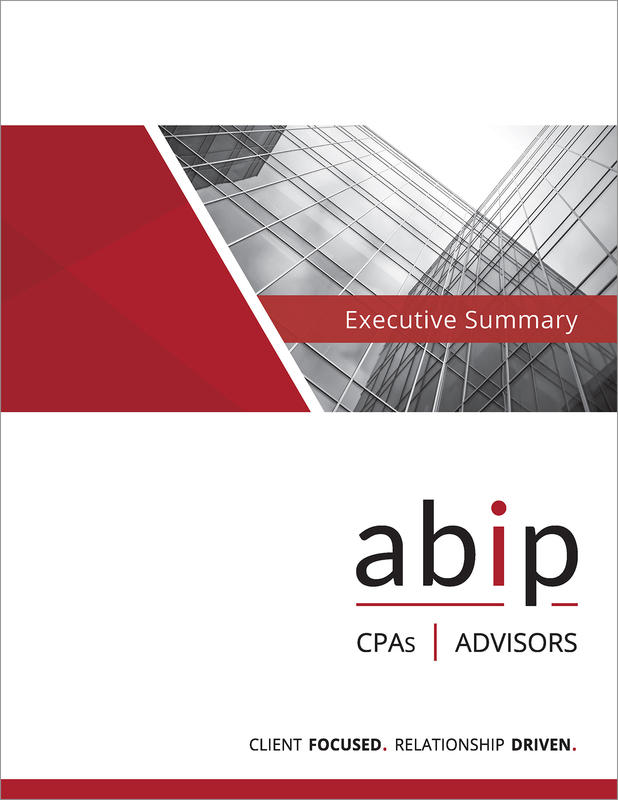 abip provides clients with the information to successfully manage their business and focus on their objectives. Our team listens, interprets and provides objective insight. We take the time to understand your goals and design a strategy to meet those goals. Our assurance team provides audited, reviewed or compiled financial statements to help validate the accuracy of information and provide insight, while minimizing risk. We help clients make progress toward their goals. Sometimes we are asked to design or evaluate a plan, while others use abip to execute and monitor an existing strategy. Our professionals help you stay focused on critical success factors, evaluating opportunities, or eliminating obstacles. Stages. The Lifecycle has 4 stages; Emerging, Growth, Mature and Transition. Each stage is different and needs change as you move from one stage to the next. Survival and growth may be replaced by the need to retain or transfer wealth, mitigate risk, or achieve a different life stage objective. While your accounting firm may have been excellent for the first twenty years, you may need a different firm to help with the next stage. Direction. The more successful you become, the greater the need for expert advice tailored to your specific situation. We help you minimize stress and maximize the value of your business. Exit & Succession. Owners are experienced and seasoned professionals, but an exit or succession is foreign to them. Many have no idea where to start or what timeline is needed to conduct a successful transition. For organizations looking at a sale or a family succession, we can help by strategizing and managing all the steps of the process. Identifying the goals that are most critical to your success. Designing and implementing a working plan towards these goals. from emerging entities just getting established, to large organizations with complex needs. Each client has different challenges and their own definition of what is valuable to them. The core function we provide every client is accurate information, proactive tax planning and a relationship from an accounting firm that understands their business and what is important to their specific goals and obstacles. Our professionals provide proactive, forward thinking services. Every organization needs tax returns and financial reports, but those should be secondary to the planning and strategy your accounting team has created with you. We provide thought leadership and help work toward maximizing the success of your organization. We implement an owner’s vision, grow and preserve assets, and help build and transfer family wealth. Our team develops accurate and timely financial reports, creates a tax plan, and provides objective insight. Our team will create a tax strategy, assist with estate planning, gifting, trusts and the protection of family wealth. We will work in collaboration with your auditor to help close the books, prepare for an audit, become your auditor or outsource all of your accounting. We support municipal and special purpose governments, school districts, county governments, river authorities and water districts; OMB A-133 audits, state of Texas single audit, comprehensive annual financial reports, internal control reviews, agreed-upon procedures and special projects. Change is not easy, give us thirty minutes to show you how abip can help make an impact.